I noticed this is one major problem most new B bloggers are facing, I was once a victim too when I came into the blogging sphere. enter the domain name you just registered including the www prefix and click on save an error message will be displayed with your Host and target links below it. Note: when you click on manage DNS only one record box will be displayed all you have to do is click on add record to make it two and change your “type from A to CNAME” (both of them) before clicking on the save button. These are some very easy to follow steps. I like your step by step detail. Thank you for sharing. This post is very helpful and informative with easy steps to follow. Thank you for sharing! Great tutorial! It's always helpful when you include screen shots, so this is great! great job explains in detail what to do ! This is great for anyone that is lost with this! ty for sharing! I use to have blogger and it would throw me for a loop. I wish I had this tutorial then! I love the way you explained everything so well. Thanks for the information. Thanks for sharing your tips. This is very helpful for nee bloggers and webmasters. I've been thinking of doing this too. Thank you for sharing the information! Your steps would definitely help the "young" bloggers a lot. Even though I never create a blog before, your instructions have proved me how complicated it is. Thanks so much! I've done this before and I know how hard it is to start as a young blogger, but I'm realy happy I did! 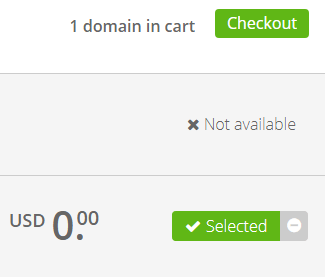 Custom domains are so important! They make your blog much more professional! This is awesome information for any new blogger. A custom domain is so important and should be something you really research before choosing. . Freecom.com is something I am going to have to check out before starting my own blog. Thanks for sharing the information.